The Los Angeles law firm of Pearson, Simon & Warshaw, LLP (PSW) , with offices in Los Angeles and San Francisco has emerged as a nationally recognized force in class action lawsuits and complex litigation. Our attorneys' skill and experience has enabled clients to press for justice against major companies. The firm's veteran trial lawyers have obtained over one billion dollars in settlements and verdicts on behalf of plaintiffs in a wide range of cases. See Notable Cases for examples of our past and present litigation. PSW was established in 2006. 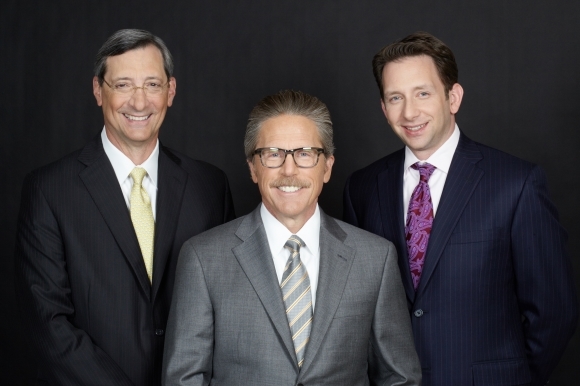 Our three named partners and the senior and associate attorneys have over 100 years of legal experience. We have been successful in litigating class action, antitrust, employment and securities class action lawsuits. Attorneys at PSW have earned the Martindale-Hubbell AV* rating for legal ethics and ability. We practice in state and federal courts in California and beyond, including multi-district litigation cases heard throughout the United States. PSW is able to provide individualized attention and focused representation for every client. Our lawyers are creative, aggressive, and resourceful, and do not bring a claim or take a case to a jury until we have thoroughly researched and prepared it. We are fully committed to client service, the highest ethical standards, and rising to the challenge of complex litigation. Contact PSW today to discuss a pending class action or a new case. Call toll-free at (877) 391-8300.